Set in 432 BC at the outset of the Peloponnesian War, Wrath of Sparta is an entirely new campaign expansion for Total War™: ROME II, will be released on December 16, 2014 and is the earliest period that Total War has ever attempted. 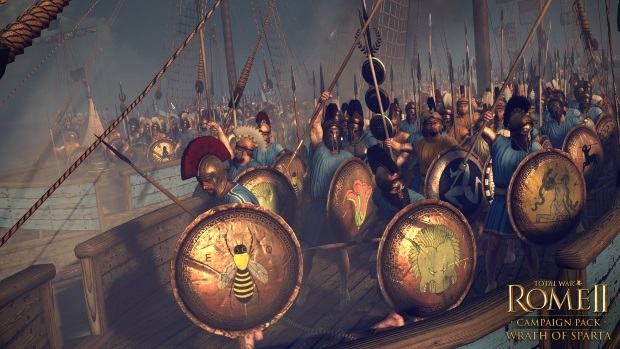 Across a bespoke campaign map focusing on a highly-detailed ancient Greece, the Greek Islands and the Ionian Coast, this campaign pack features all new tech-trees, battlefield and naval units, great wonders and famous Greek heroes. In addition, a flavor-packed focus on ancient Greek culture is delivered through many iconic athletic competitions and festivals. Wrath of Sparta is a campaign pack like no other, and brings this desperate conflict to life in thrilling detail across hundreds of hours of gameplay. Wargaming today announced that Update 9.5 for World of Tanks has been released in Europe and North America.